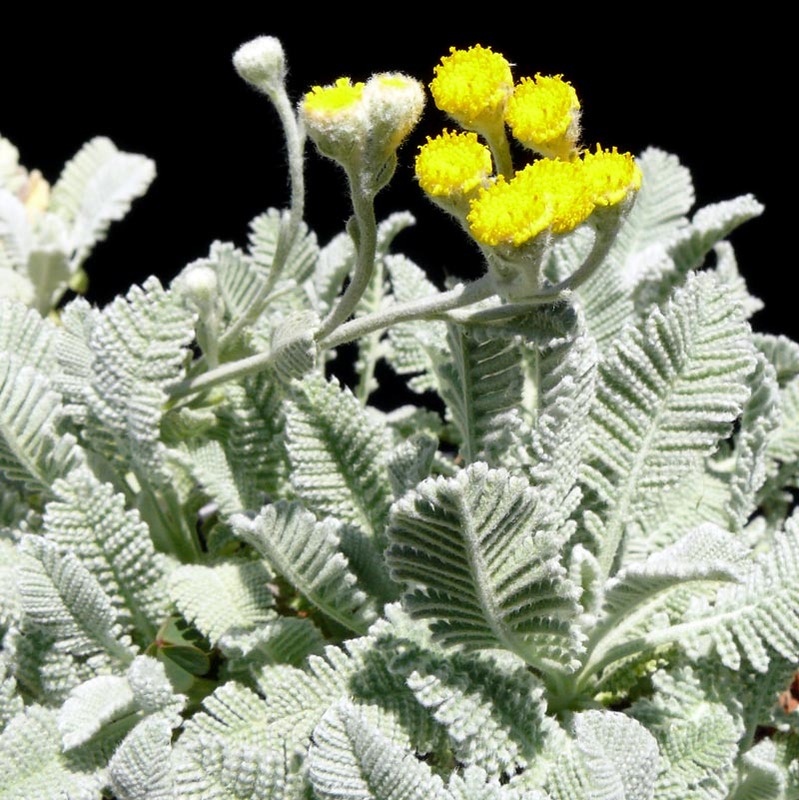 Feathery grey leaves form a dense groundcover. Small yellow flowers pop up 6-12″ above the foliage in spring. 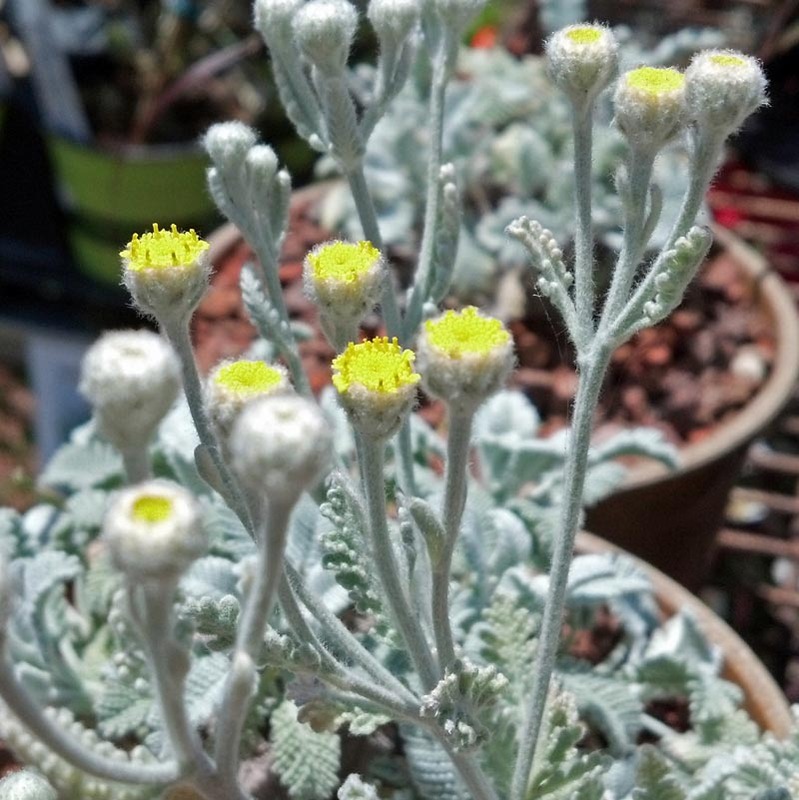 Ideal for coastal gardens – can’t take heat.